ISLAMABAD: Kuwait’s Ambassador to Pakistan Nassar Abdulrahman Al-Mutairi on Wednesday called on the Advisor to Prime Minister on Aviation Sardar Mehtab Ahmad Khan and discussed the matters related to mutual cooperation in different sectors particularly in the field of aviation. Secretary Aviation Division Irfan Ilahi and other senior officials of aviation division were also present on the occasion. Pakistan and Kuwait mutually agreed on extending their bilateral relations to work collectively to enhance the air travel facility to achieve betterment in the field of aviation in both countries. Mahtab said that peace has been restored in the country and now we are heading towards progress and prosperity. He said that we are focused to further strengthen bilateral relations while adding that Pakistan and Kuwait have a strong bond of friendship. We are eager to collaborate on different projects with Kuwait to nourish this relation and to collaborate in aviation sector particularly, he added. 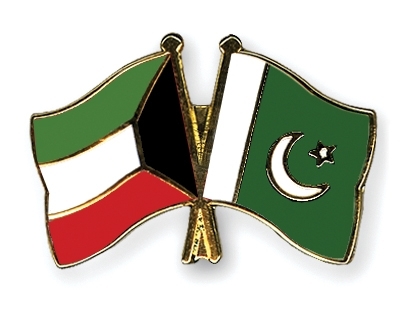 Mahtab thanked the Ambassador and expressed that Pakistan and Kuwait have very strong bond and with every passing day both countries are embracing strong and closest relations. Ambassador, while congratulating the adviser, on the near opening of the state of the art New Islamabad International Airport, appreciated the endeavors of the incumbent government for the betterment of aviation industry in Pakistan. He did not only appreciate the endeavors of incumbent government towards enhancing and accelerating the bilateral relations with Kuwait, he also admired the significant contribution made by Aviation adviser and said that Aviation sector is a fast growing sector in Pakistan. He acknowledged the steps taken by incumbent government to restructuring Pakistan International Airlines. While thanking him, adviser also invited the ambassador to attend the inaugural ceremony of New Islamabad International Airport.